After a few weeks with the RooCase Origami, I came across the ZeroChroma Solo on Amazon. 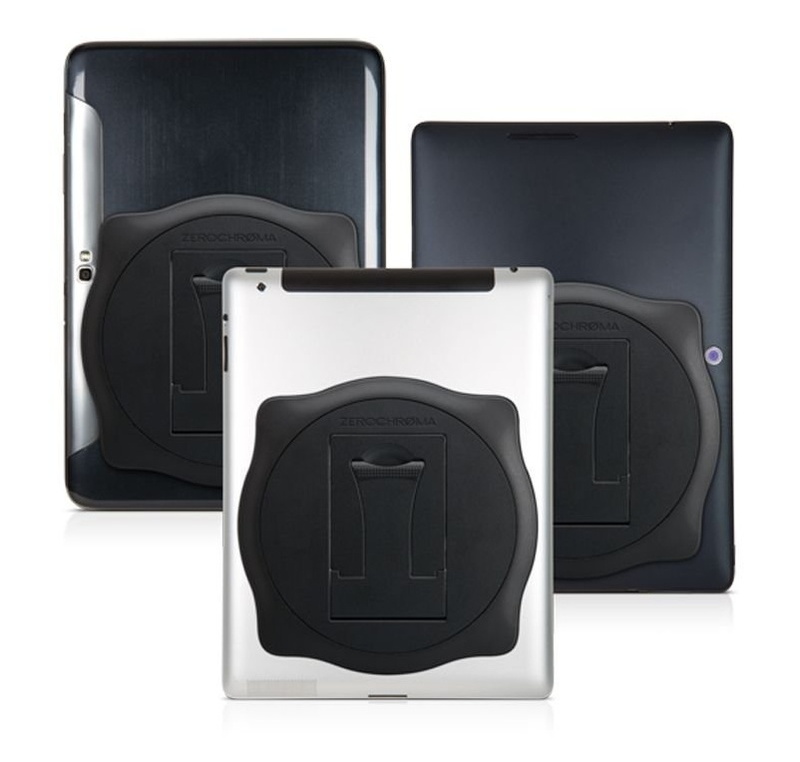 It’s a kickstand that attaches to the back of any tablet which can rotate 360 degrees and tilt to 11 different angles. It wasn’t advertised for the iPad Air, so I wasn’t entirely sure it would fit, but it was under $10 at the time, so I figured it was worth gambling on. Initially I figured I would attach it to a shell back case for the iPad Air so I ordered an inexpensive one along with it. When I received the items, however, I didn’t care for the shell case, and decided to attach the Solo stand directly to the back of my naked iPad Air. It fits on the iPad Air, but with a tiny bit of overhang. It also covers a fairly large portion of the back. That said, it is a very slim design and the multiple portrait and landscape viewing angles was exactly what I was looking for! Using it as a stand with the Apple Smart Cover flipped back as the base, I was able to use my iPad propped up at any angle on a number of surfaces. The ZeroChroma Solo Stand will work with a number of larger tablets. The ZeroChroma Solo Stand used in the landscape standing position. The ZeroChroma Solo Stand used in the portrait standing position. The ZeroChroma Solo Stand kickstand leg locks in at 11 different positions to accommodate the viewing angle you need. If you have a smart cover, you can flip it back as a base for the kickstand on uneven surfaces like a pillow or your lap. Here’s what I liked and didn’t like about the ZeroChroma Solo, and why I eventually moved on from it. 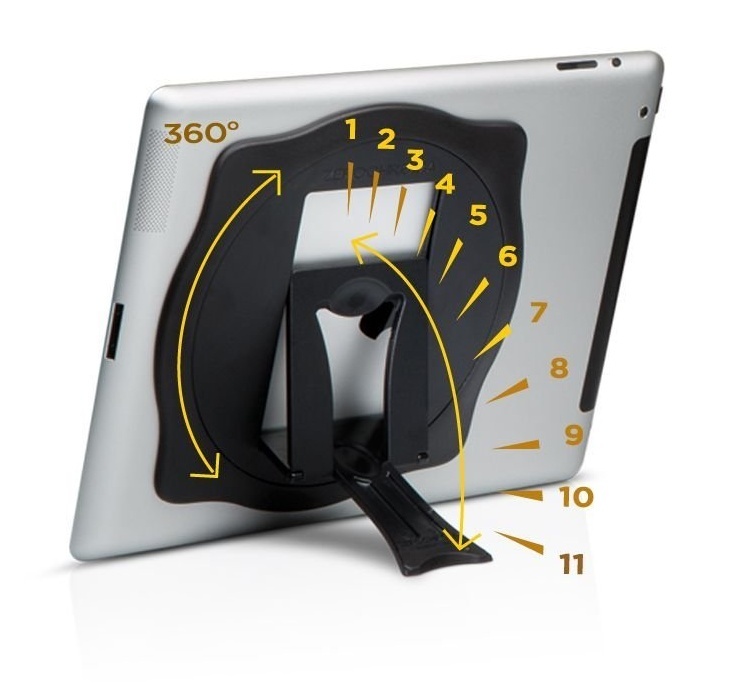 Virtually unlimited viewing angle positions for both portrait and landscape orientation. Added very little weight and bulk to the iPad Air. Kickstand could function as a grip for handheld situations. Worked along with the removable Apple Smart Cover. Rubberized base on the kickstand ensured it would not slide on most surfaces. Compact kickstand design didn’t require a lot of extra space. It covers about 70% of the back of the iPad Air and hangs over the sides by a couple millimeters. The kickstand leg has very sharp, pointed edges and corners that make it uncomfortable to use a grip for extended handheld use. Does not provide any drop protection. 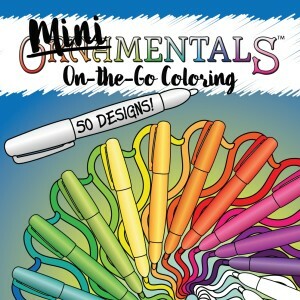 Advertised as removable, but not easily removed unless mounted to an outer shell case. I happily used the ZeroChroma Solo for almost seven months, but ultimately it was an upcoming long road trip that led me to check on the Gripster availability once again. The sharp edges of the Solo kickstand made it very uncomfortable as a grip for hand-held use. Since I knew I had another long road trip coming up, I decided it was time to try the Gripster, now that it was finally available, albeit with a significant redesign. One note about removing the ZeroChroma Solo: ZeroChroma advertises the stand as removable, but no removal instructions were included with my package, aside from a link that leads to a 404 (missing page) on their web site. I had to contact support and then wait a couple days for them to get back to me with a link to a video. The video clearly shows the stand being removed quite easily but this was not the case for me. I don’t know if it was because I had it attached for so long, but that sucker was not coming off! Rather than risk damaging the back of my iPad, I resorted to cutting through the padded adhesive tape with an X-acto knife to remove the ZeroChroma Solo from my iPad. I have since received comments on my Amazon review from others who did not have such difficulty with removal, but I’d still recommend attaching the ZeroChroma Solo to an outer shell case and not directly to the iPad if you decide to try this stand. ZeroChroma now offers a Smart Cover compatible back shell case with integrated kickstand as well as a case stand with a slide-on cover. 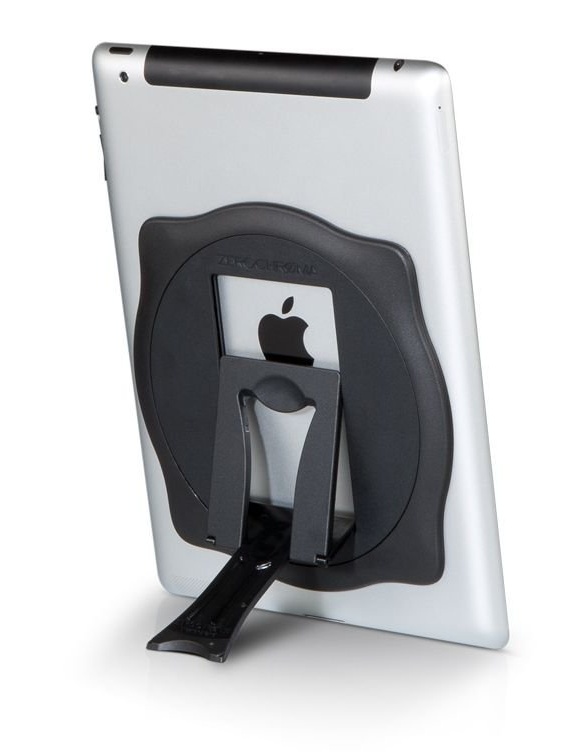 They offer several interesting kickstand cases for the iPad mini, iPhone, and iPod as well. Explore some iPad covers featuring my Dad’s art work.